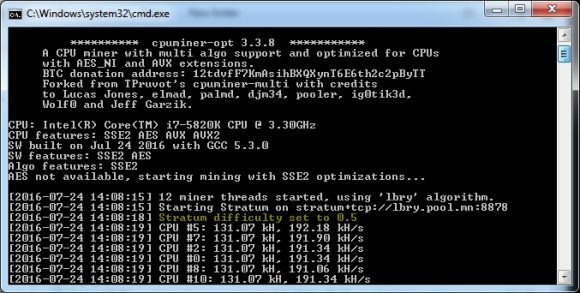 If you are looking for a CryptoNight miner that supports all kinds of variations of the algorithm as well as one that works on CPU and GPUs, then the XMR-AEON-STAK miner (forked from XMR-Stak) might be your solution. 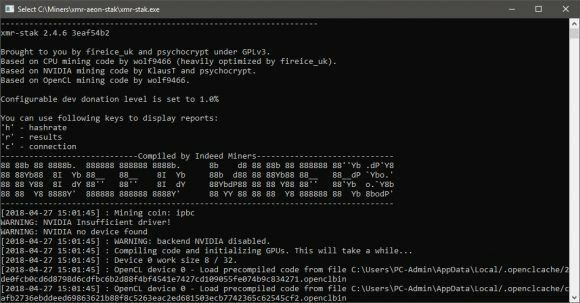 The latest version of the mienr comes with support for all kinfs of CryptoNight coins such as Aeon, Bbscoin, Bitcoal, Croat, Dero, Dinastycoin, Edollar, Electroneum, Fonero, Graft, Haven, Intense, Interplanetary Broadcast Coin, Italocoin, Iridium, Karbo, Leviarcoin, Masari, Monero, Stellite, Sumokoin, Superioir, Turtlecoin, Ultranote… and more. 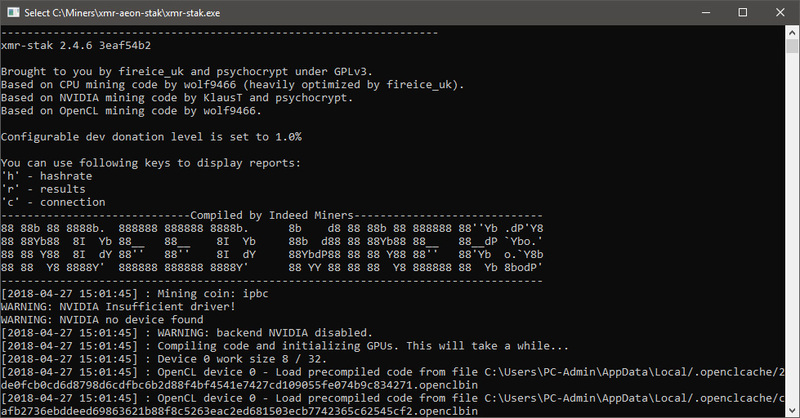 The miner supports Cryptonight, Cryptonight V7, Cryptonight Heavy, Cryptonight Lite V7 and Cryptonight IPBC V3 and you can mine with it on your CPU, AMD GPU (OpenCL 2.0) or Nvidia GPU (CUDA 9) all in one package. The XMR-AEON-STAK 2.4.6 miner is currently available only with a Windows binary release that comes with 1% developer fee, though if you compile yourself from source you can change that. Originally CryptoNight is doing better on AMD GPUs, so Nvidia miners rarely go for CN coins due to slower performance they get with the algorithm, though there are times when even with Nvidia it is worth mining.